Short on cash and time? 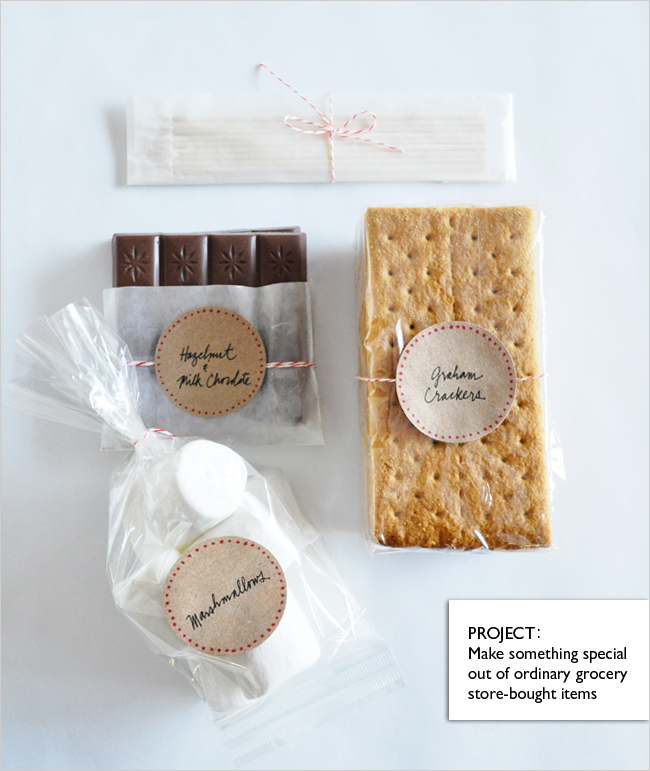 Need a last minute hostess gift for the fifth holiday party you’ve been invited to this year? No worries! 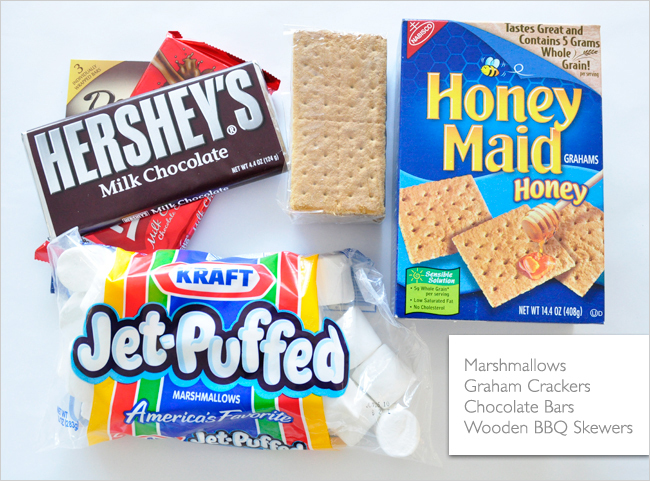 Just hit your local grocery store, pick up a few items and you’ll be on your way to creating this very easy DIY S’mores Kit that’s sure to be a hit with kids of all ages! This kit includes 9 marshmallow pieces, 1/2 bar of hazelnut chocolate and 1/2 bar of milk chocolate, 9 large pieces of graham crackers and 9 wooden skewers. 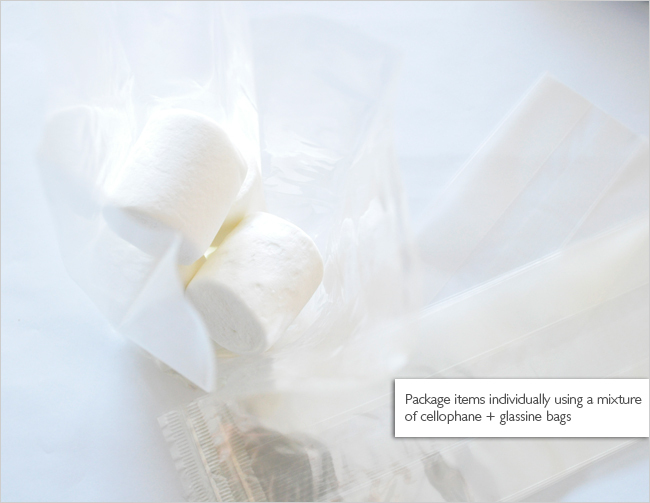 We used a mixture of cellophane and glassine bags to repackage all of the items. 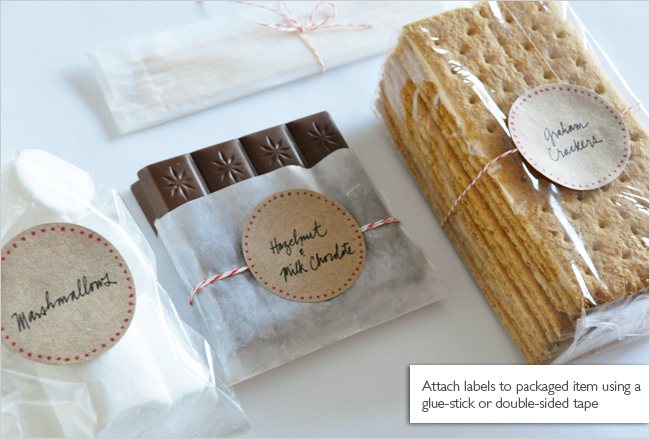 If you can’t get your hands on glassine bags, you may also use parchment paper or wax paper to create a protective sleeve/band for the chocolates. The crackers I purchased came with two ready-packed bundles! 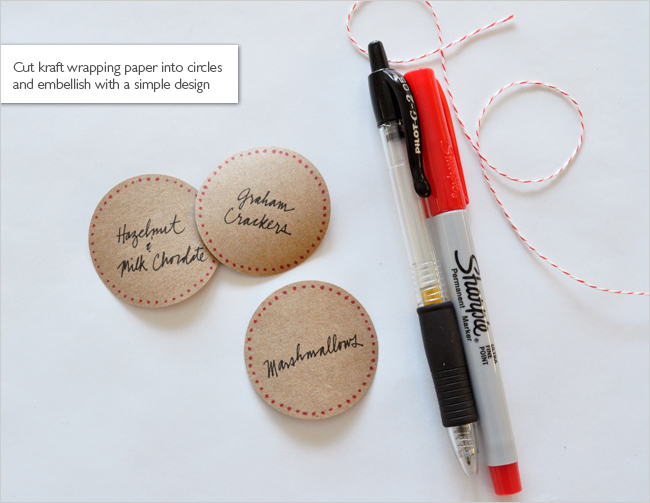 The labels are simply punched out of kraft paper using a 2-inch circular punch, embellished with a red dotted border (super fine red sharpie) then attached to the packaged goods using a glue-stick. P.S. 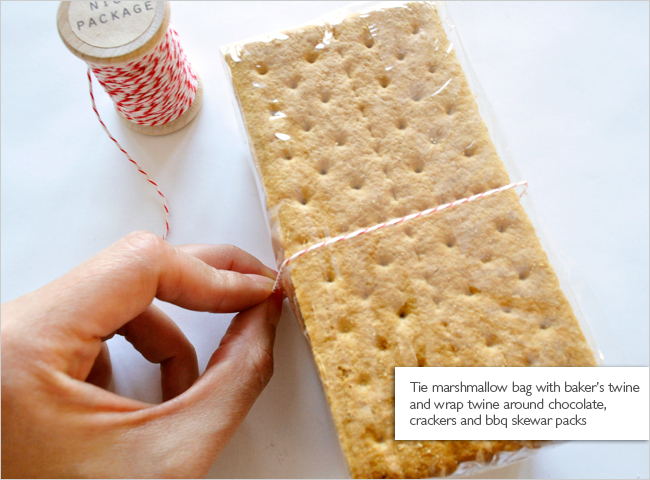 If you will be giving a similar gift (using repackaged food) it is best to include a list of the ingredients for those who may suffer from allergies, or to save the wrappers in case they are needed.